Co-owners Bill Graban, CEO, and Jeffrey Neidert, President, launched Prime Lumber in 1988, combining their broad experiences with wood, furniture manufacturing and lumber sales. Both men earned B.S. degrees in Wood Science and Technology from West Virginia University. Their backgrounds enable them to supply expertise about wood properties and uses, helping customers choose the best woods for their jobs. Customers are able to trust what they receive – the right species, quality and quantity. Prime Lumber stands behind its products, grading all lumber after kiln drying. Through mutually-beneficial business, Prime Lumber Company continues to grow. Although Prime Lumber sources its wood domestically and internationally, we support the United Hardwoods Promotion coalition initiative: American Hardwoods: Treasured for Generations™. 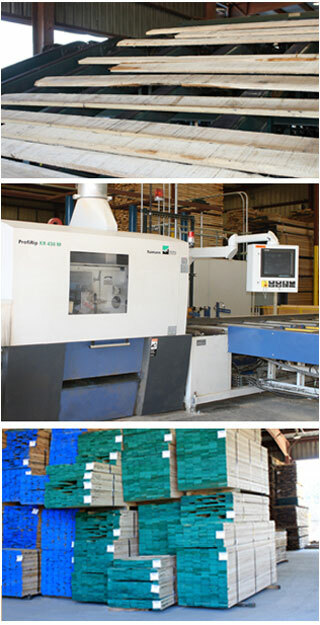 Prime Lumber’s customers appreciate the company’s versatility, flexibility, hardwood yields and responsive lead times. Sustainability initiatives adopted by Prime Lumber support the environment and the future of the hardwood industry. And sound business practices help ensure Prime Lumber will continue to be their customers’ finest resource for hardwoods.